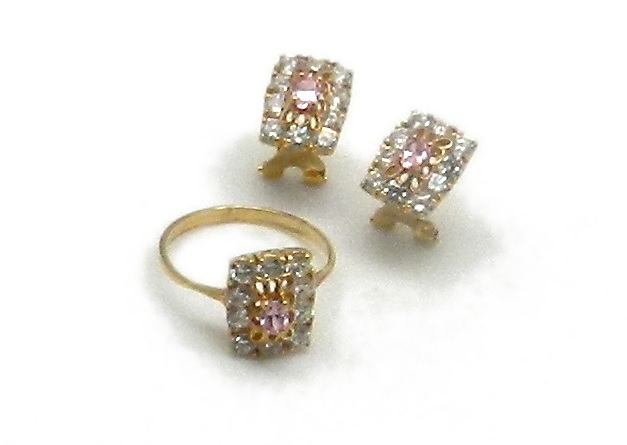 Game of ring and EARRINGS of gold 750 mm. 18 KTES. WITH ZIRCONS AND ROSDA OF FRANCE. WEIGHT 6.70 carving available 15 other sizes in 7 days.